Find the Best Tennis Pros in NYC at Tennis World. Our Pros have USPTA & Cardio Tennis Certifications with extensive teaching experience to help everyone from beginners to advanced players. Tennis World was created in 2010 with the mission to "Have Fun Learning Tennis". Whether you want to take your first lesson or dust off your racquet to get back on the court, Robert and his team of tennis professionals are ready with the perfect blend of fun and fundamentals. Tennis World NYC will help you learn the proper techniques to play at your peak performance for a lifetime. For Children there will be weekday after school lessons, summer camp, weekend lessons, play days, Kids’ Tennis Clubs and special events. For Adults there will be private lessons and group lessons throughout the week and weekends with additional socials and special events. Tennis World NYC has created a great environment of meeting new friends and finding new tennis partners of equal levels. Looking forward to seeing you on the court and being part of our team at Tennis World NYC! Robert Fernandez Bucheli has been playing tennis since age 11. He played in high school and at the University of Rochester where he also obtained his Mechanical Engineering degree. 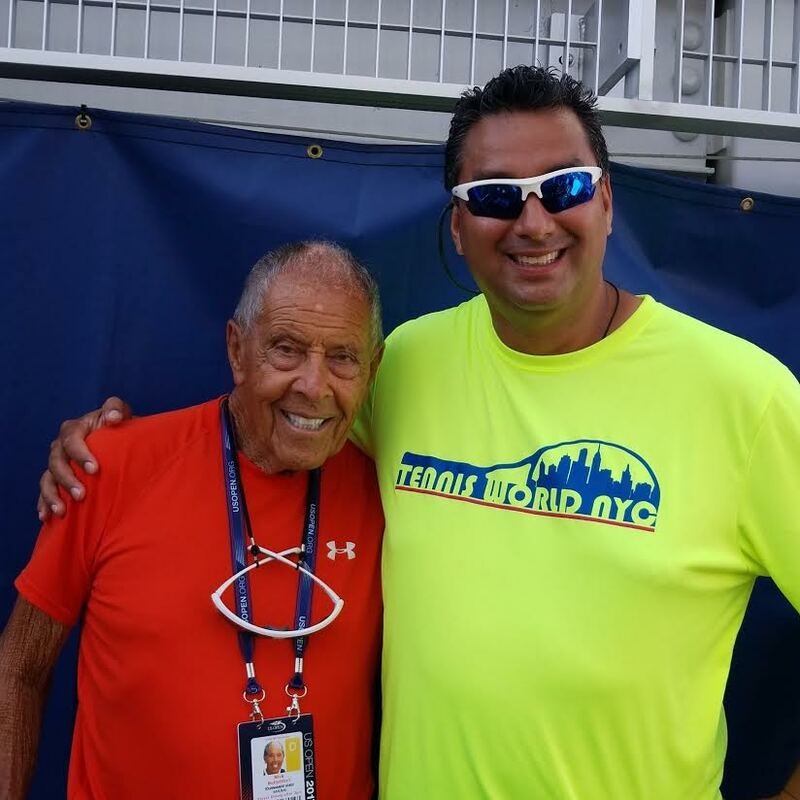 Robert is an Elite USPTA Certified Tennis Pro and is on the USTA Eastern LI Regional Board of Directors. His experience in instruction over the last 20 years makes him a true expert on the tennis courts. Through his classes, Robert has given thousands of tennis students the gift of playing tennis using proper mechanics and well-developed technical skills. These skills ensure his students enjoy the sport without risking injury due to improper or even hazardous form. Born in Saratov, Russia; Marina started playing tennis at the age of 4. She was in the top twenty of Russian Junior Tennis players and turned pro at the age of 14. After a yearlong professional career, Marina got a full athletic scholarship at Binghamton University where she graduated with honors at the age of 19. Marina has passion for teaching and gave her first lesson at the age of 13. Now she is a USPTA Certified Professional Coach with over 10 years in teaching experience. Marina is a patient coach who will help you learn proper tennis technique while having fun on the court and make you feel comfortable to hit the ball like a super star! In 1978 the Nick Bollettierri Tennis Academy (NBTA) was formed in Florida. Nick changed the game of tennis by implementing strategic technical on-court training with physical training and mental conditioning. These methods helped him influence and transcend the sport to be the most prolific coach in tennis history by coaching players to be world #1 like: Andre Agassi, Boris Becker, Jim Courier, Martina Hingis, Jelena Jankovic, Marcelo Rios, Monica Seles, Maria Sharapova, Serena Williams, Venus Williams along with other to be top ATP/WTA tour players and Tommy Haas, Kei Nishikori and Anna Kournikova to name a few. Nick is also an author, writer, master clinician, motivational speaker and philanthropist. Nick's 60 years of experience can be read in books, magazines or heard at live events motivating audiences. He has spoken at Harvard University, Oxford University, Goldman Sachs, Telemundo, USO and for the troops in Iraq. He has been inducted into the International Tennis Hall of Fame, Black Tennis Hall of Fame and received the ITF Lifetime achievement award.